Research on a number of arthritic diseases, including rheumatoid arthritis, juvenile arthritis, Lyme arthritis, gout, and more. Research on cartilage and connective tissue, and the conditions that affect them. Research on clinical osteoarthritis; bone quality and skeletal imaging; and human genetics of bone and cartilage. Research basic, translational, and clinical studies of extracellular matrix (ECM) biology and diseases. Research on the immunobiology of the skin, including the regulation of skin immune responses and immune system cellular components. Research to understand the biology and diseases of the epidermis and skin appendages, and development of hair follicles and sebaceous glands. Research to understand the development, growth, and maintenance of muscle tissue, including muscle regeneration and the biology of stem cells. Research on acquired and inherited diseases of the skeletal muscle, and muscle atrophy and injury. Research on tissue engineering and repair of musculoskeletal tissues that explores new approaches to tissue regeneration. Research on orthopedics and musculoskeletal rehabilitation, including studies of orthopedic devices and joint replacement. Basic research on bone biology and clinical research on osteoporosis and metabolic bone disorders. Research to study the mechanisms, pathogenesis, and pathophysiology of bone diseases and their interaction with tissues and organs. Basic research to study behavioral interventions, neuroendocrine and neuroimmune mechanisms, behavioral and social research, and epidemiology. Patient-relevant clinical research and the design, development, and execution of clinical trials and registries in rheumatic diseases. Research to find genetic factors that influence rheumatic disease susceptibility and severity, and to explore possible treatments. The Scleroderma, Fibrosis and Autoinflammatory Disease Program supports studies of basic, translational, and pre-clinical studies on scleroderma, fibrosis, and autoinflammatory diseases. Research on epidermal repair and regeneration and melanocyte biology, including the wound healing process and skin cell development. Basic and translational research on systemic lupus erythematosus, systemic scleroderma, and autoimmune myositis. The NIAMS FY2019 funding plan for research and training grants. Review the variety of funding mechanisms used to support research at other institutions, organizations, and facilities. 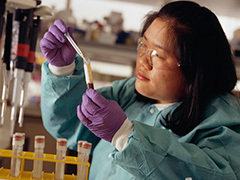 The clinical trials program is designed to support studies with different levels of complexity and risk. Policies and procedures for administering an NIH grant. 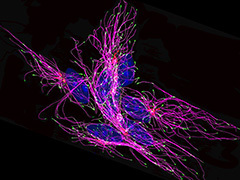 Learn more about NIAMS funded research programs currently underway. Funding opportunities to support small businesses in performing research and development on technologies. NIAMS and NIH requirements for all grant awardees.